We are offering agents 10% of the final invoice fee and commission is paid monthly for the sales in that month. 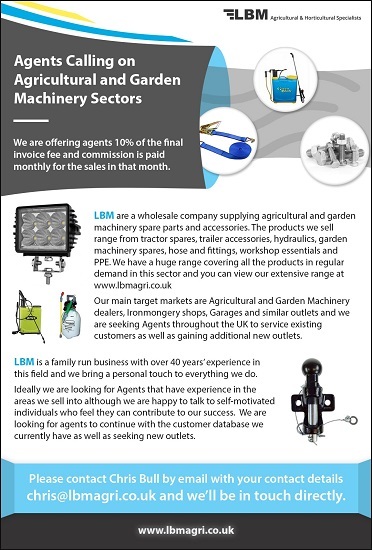 LBM is a family run business with over 40 years’ experience in this field and we bring a personal touch to everything we do. Ideally we are looking for Agents that have experience in the areas we sell into although we are happy to talk to self-motivated individuals who feel they can contribute to our success. We are looking for agents to continue with the customer database we currently have as well as seeking new outlets.